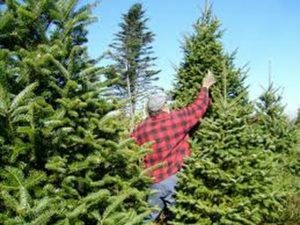 Is Rockaway NJ Tree Service what you're looking for? We have a top-notch reputation for always being able to go above and beyond our customer's expectations when it comes to Tree Services. As a matter of fact, some of our business comes purely from referrals. We understand that customer satisfaction is the key to any business. That's why we provide affordable tree cutting services for our local area. All of our crew is kept up to date with the latest safety training so they can do the best job possible. When we do complete a tree removal service, either in Rockaway or Morris County. We always make sure to clean up after ourselves so you don't have to! Rockaway NJ Tree Service specializes in all types of Tree Services from tree removal to lot clearing and everything in between including stump grinding. We are often asked to do extensive tree trimming in and around Rockaway New Jersey. 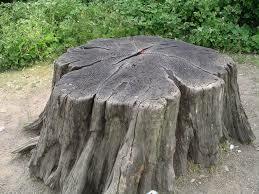 We give free estimates for all of our Tree Services with a simple phone call or just fill out the form on this page. We look forward to hearing from you as soon as you are ready! And remember, we are local to Rockaway, New Jersey! We know you have expectations. Rockaway NJ Tree Service will always meet or exceed those expectations because it is the right thing to do. And so we can maintain our unblemished reputation. Our guys have been cutting trees since 2003 in Rockaway, NJ and the surrounding area. We are very well known for our ability to get the job done. Our Company will set your expectations so we are all on the same page. This way we know in advance that when we are done you will be happy with our performance. We are experts at what we do. We have been at it for years and we really enjoy ourselves every day. When you are way up there in a tree sometimes there are very good views. All the guys like that kind of thing. It is just one of the perks that go with the job. Our experts are a cut above the rest. Pun intended! Our guys are looking forward to going to your place and making it look like you want it to look. We take direction well and are going to give you the look you want and do it usually in one day. People are always impressed with how we pay attention to detail and make everything as perfect as possible. We actually care about how things look when we are done and it shows in our finished product. We Are Well Respected and Rockaway NJ Tree Service is well known for being the go-to tree service in Rockaway. Many large landscaping companies in the area use us because we own all of our equipment. Also, we have everything needed to perform even the most difficult jobs. In addition, we have the best pricing and are totally reliable! We are open 24 / 7, 365 Days A Year - A crew is always available for emergency tree care services. You Can Count On Us - We arrive at the agreed time and are ready to complete the task at hand in a timely manner. We come prepared to work efficiently and are careful of safety for every tree removal job. We treat your property respectfully and prepare the ground for our service when and where appropriate. We Take Safety Seriously - When it comes to a high level of difficulty for a job in the Rockaway NJ area we go above and beyond when it comes to safety. We look out for our team members as well as your loved ones. No matter what tree service is being performed, we are sure to be conducting the operation with everyone's safety in mind. We are Environmentally Friendly - Rockaway NJ Tree Service has purchased top of the line equipment and we maintain it regularly. We are always ready to go to work when you need us all over the Morris County area. Every Job is Guaranteed - We agree in advance what it is you are looking for. We agree and we perform exactly as we agree or better for whatever tree service work we are doing. That way we know you are going to be happy with our work and will gladly recommend us to all your friends and family. Our crews are dedicated to safety. It is evident in how we set a job up. There can be plenty of safety hazards on any job and the key is being able to recognize them and address them all before there is a potential problem. True professionals put the safety of others first and of course, keep themselves safe too. We always practice safe procedures when working. We have many years of experience that allows us the expertise of knowing exactly how to be safe at all times. 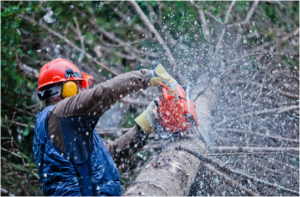 Personal Safety and Protective Equipment-As tree service professionals, we maintain personal protective gear for our employees. As some of these items are very job specific, it will be easier to employ someone who already has them, than go through the expense of purchasing it yourself, or worse, trying to do the job without it. Having the proper tools for each job is a huge benefit as well. We are also insured and licensed so you can rest assured we have all the qualifications necessary to work on any property in the state. When the job is finished we look around at what we accomplished and always like what we see. We call it hard work and clean living. We realize that most other tree companies leave a lot to be desired. They usually leave a mess or holes in the ground or some other obstacle. We make sure we think of everything so when we leave you have a big smile on your face. There’s a reason safety is emphasized extensively in the tree service industry. Tree service companies like Rockaway New Jersey Tree Service employ trained technicians. We equip ourselves with the latest in safety equipment. That’s just one reason it is best to hire a licensed and bonded pro instead of taking on the job yourself. There are a number of reasons you should contact a professional tree service when dealing with tree trimming, tree cutting, tree removal, and stump grinding. 1. Continuous Education-Proper training makes all the difference when it comes to preventing injuries on the job. Licensed pros are required to stay updated on the latest information. 2. 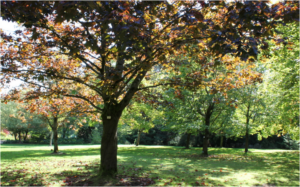 Stay Up-to-Date with Regulations-The how’s and what’s of tree servicing can change from year to year. Don’t end up with a hefty fine for removing a protected tree the wrong way. 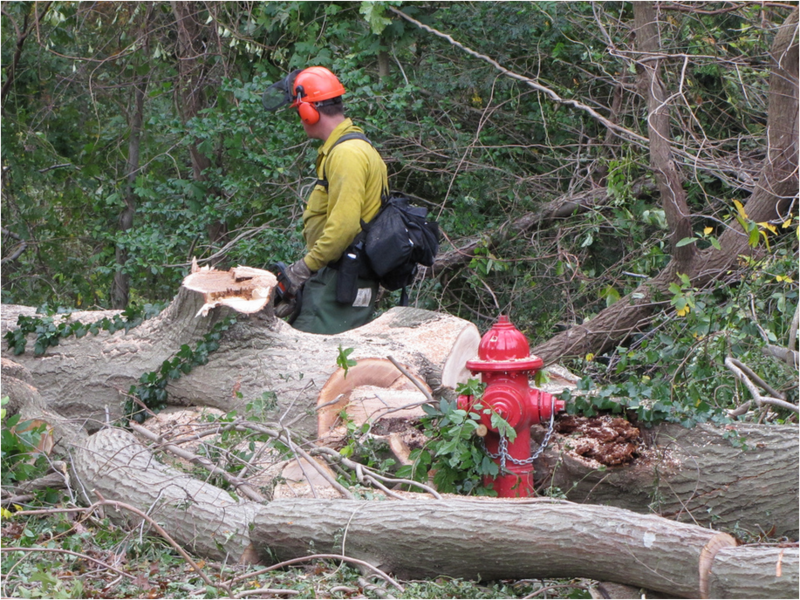 Let Rockaway NJ Tree Service protect you with our knowledge of local statutes and requirements. One of the most difficult and dangerous tree service assignments is to handle trees that have been damaged by storms. The bottom line is this when faced with issues involving your tree, always call a professional that is qualified to hand every eventuality that may come up. After all, what’s more important than your life, health, and well-being? As the best tree service choice, we are prepared to handle any safety issue that may come up, giving peace of mind to you and your family. A lady called and said she needed some trees trimmed. We told her we will come out to do a free estimate. A team leader let her know we could schedule her as soon as she wants the work done. So we go out to see the house and she had many dead branches in her trees. Some had already fallen on her house and one big one on her neighbor's house. We gave her a price and she wanted us to start as soon as possible because the danger level was high. We brought in all the equipment necessary for the job. We, of course, explained to her while we were doing the estimate what all work was going to be involved. We had her all done in one day even though there were several trees that needed attention. She was so pleased with the work she recommended us to all of her friends and we got more work from her referring us. Another happy customer! Our Tree Services Provide More. Mother nature has a way of letting us know she is out there. And sometimes a little more than we plan on. There was a house that had a big problem after high winds came through. In a situation like this you, of course, need more than just a good tree service. You are also going to need emergency carpentry services too. But we started out by removing the tree. We then covered the open parts with tarps as part of our emergency service on that job. If you ever run into an unexpected situation similar to this just give us a call and we will do our very best to come out quickly to keep the damage to a minimum. Extra water in the house is the last thing you need at a time like this. We arrive with everything needed to do the job right the first time. Taking down a tree is just one part of the entire process. There are more steps involved until the end result is accomplished. The tree needs to be manageable to move it. All the small parts of the tree need to be run through the chipper. The lawn needs to be cleared so it barely looks like we were there in the first place. Then we inspect things to make sure it meets with our approval. Then we get you to look at the job to make sure you are happy. Then we are done! The Best Tree Service in Rockaway. 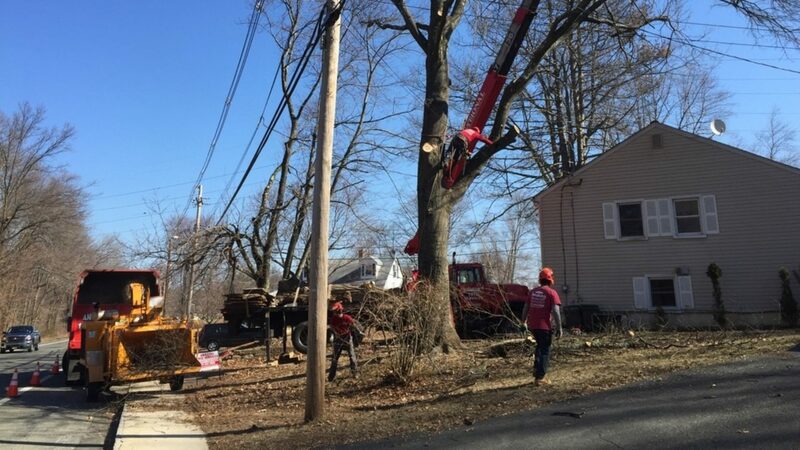 When you need a team of experts that has all the equipment necessary, give Rockaway NJ Tree Service a call. We have an unblemished reputation for doing an excellent job with no problems. And doing every job safely. It all comes from our many years of experience and dedication to each team members safety. We are all looking out for each other. The same guys work together every day so we all know who and what to look out for. Sure, there could be problems but we go out of our way to make sure we see a potential problem before it happens so we can cut it off at the pass. This amazing area we live in has many beautiful trees. Tall and stately, short and stubby, providing safety, shelter, shade, and serenity. We all know that trees are beneficial in a variety of ways. But, unfortunately, trees, their branches, and their roots can sometimes cause problems. When this happens, call on the best tree service Rockaway, NJ has to offer. When tree problems occur, knowledge of trees, their habits, and habitats is extremely beneficial. Since we are local to Rockaway, we can provide property owners with the benefit of our extensive knowledge and experience of their area. We will know what to do and when to do it without causing additional problems or damage. We have been serving the residents of Rockaway, NJ for many years and are proud to offer the best tree service around. Let Rockaway NJ Tree Service Handle Your Tree Issue. Trees can also cause a lot of frustration for a homeowner. As irritating as it may be to rake leaves or remove them from the rain gutters, tree issues can extend even further. In these cases, the tree usually has to be taken down completely. We aim to be the best tree service Rockaway, NJ has to offer. Our crews are well-trained, our prices are reasonable and all our work is guaranteed. We will provide you with free estimates for all of our tree services with a simple phone call or just fill out the form located on this page. We look forward to hearing from you as soon as you are ready!